Blogging is a new experience for me, but I’m excited and hopeful to meet new and interesting people. 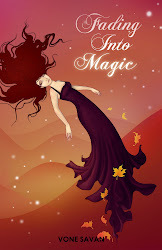 After eight months of writing, and rewriting…and then rewriting again, I am finally in the last stages of publishing my paranormal romance novel titled, Soul in Love. It will fall under the “young adults” category. In the novel, the main character, Amber Olive, will experience issues involving loss, desperation, pain, and of course, love. Needless to say, I am thrilled for the release which will be in a few weeks. 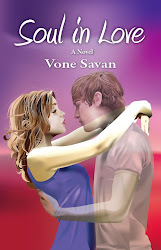 For those who would like to know more about me or the book, just go to www.vonesavan.com. And, for people who are more visual, I’ve also created a book trailer. The trailer can be found either at www.youtube.com/vonesavan.